There are all kinds of things that can cause you to wake up in the middle of the night and worry so much that you can’t get back to sleep. These dead-of-night issues are not typically things like “I’d like a new pair of hiking boots.” Unless, of course, you are going on a very long hike soon and you are worried you won’t make it through without blisters, and you are now stuck in the dilemma of whether or not you have time to break in a new pair or chance a miserable time with sore feet. This may not seem like a big deal to you, but one persons pain is not the same as their neighbors. 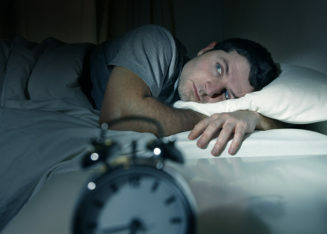 Business owners lose sleep over many kinds of pain. Some pain is an indicator of another problem, and when you think you are worried about one issue it may be masking something bigger (or smaller). You know what bothers you, but do you ever think about what bothers your clients? Defining your customers pain is one of the most helpful exercises you can perform for your marketing. When you can accurately pinpoint what their problems are, and let them know you understand them, the doors to communication are open and their walls are down. You are in business for a reason – to solve a problem for somebody. If you can figure out what is hurting, you can help. And if you can help solve your customers pain, perhaps some of your own night-time problems will go away in the process. Then you can sleep better – or at least worry about something else, like those blisters and hiking boots!